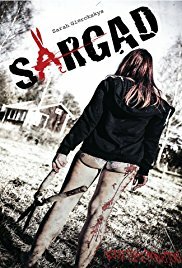 Sargad (Wounded) is an intelligent entry in the revenge horror genre from Sweden, which delivers on the violence with a few unexpected twists. Following the death of their father, sisters Elina (Sarah Giercksky) and Lily (Tindra Hedlund) drive to a retreat in the woods to spread their father’s ashes with their mother. With nothing nearby when they arrive, Elina decides to visit an old family friend Marit, (Birgitta Nord) for milk. But after an initial welcome by Marit, Elina is suddenly forced to leave after a noise is heard outside, and she is advised never to return. The family decide to stay until Sunday when they will spread the ashes, which gives Elina an opportunity to catch up with an old childhood friend Oliver who still lives in the area. But unbeknownst to Elina and her family, their return to the area has not gone unnoticed, as they are secretly monitored by several masked men. 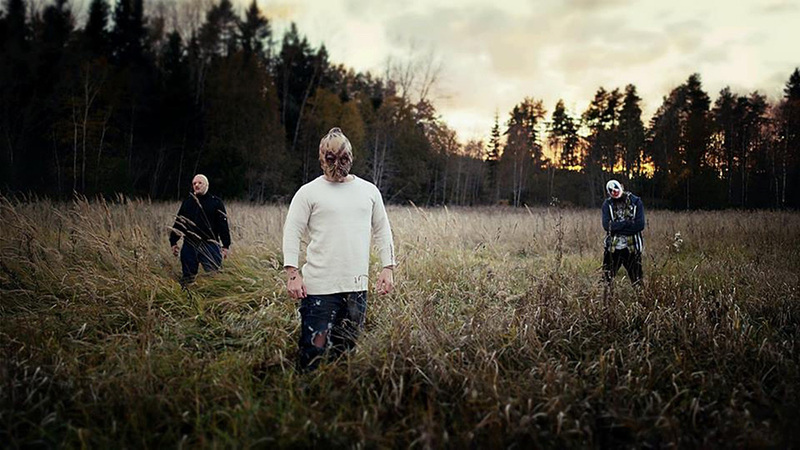 When the family goes into the woods to spread the ashes, they are suddenly confronted by three brothers who claim to be friends of their father, offering to pay their respects. But their true intentions are made clear when as they become more violent towards the family, stabbing Elina and leaving her for dead before dragging away her mother and her younger sister. Despite being left for Dead, Elina manages to make her way back to the cabin, where she finds her mother barely alive and her sister dead on the bed. Hell-bent on revenge, Elina takes matters into her own hands, as she takes vengeance on the three brothers who attacked them. But as she begins to exact her revenge, she finds out there is more behind these events than she had original expected — discovering more about the family’s past. 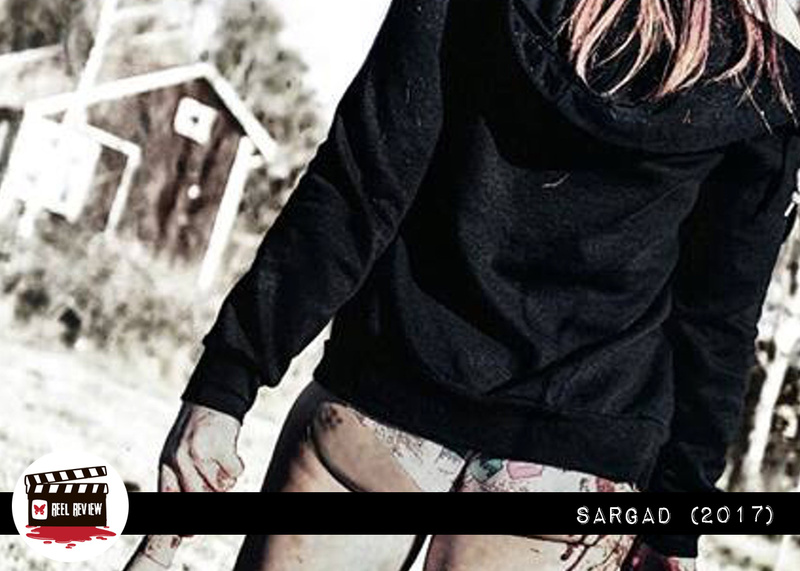 Sargad may look as though it is going to be just another revenge movie. However, the complexity of the story, development of the characters and sub contexts of the film enables it to stand out, exceeding pre-conceptions of what may be expected from the sub genre. Rather than building the story around the violence, the script written by Sarah Giercksky builds on the story which gradually unfolds throughout the film. The actions of the individuals seem ambiguous at first, which often has the viewer questioning their intensions. With the assailants in the film wearing masks whilst spying on Elina and her family, it does raise the question of who you can trust. There are plenty of twists in Sargad, bringing the story together throughout the film and cleverly disclosing a web of deceit and lies. The complexity of the story keeps the viewer engaged, continuing to raise more questions throughout. The story does come to fruition at the end, but it feels as though there are several areas which were not fully explored. The brother’s relationship with their mother for instance is a really interesting part of the film, but with this only touched upon briefly it left me wanting to know more. With that being said, focusing on this may have been detrimental to the running time and taken away from the main story by spoon feeding the audience. Proving that less is more, some of the most effective scenes in ‘Sargad’ occur during the first half of the film when the family being watched by the mask figures. Director Andres R. Ramos builds consistently on these moments to create a slow taut tension, as the audience anticipates how the film is going to unfold. One of my favorite moments is Lily is walking alone through the woods with her headphones on, as two masked men appear in the background behind her. With her music on, Lily is oblivious to the mask men who are slowly closing in. It may be a simple approach, but like so many moments in the film, the scene is slowly drawn out and the execution delivered perfectly. Even though the film tries to add more depth to the genre, it still manages to deliver on the violence — especially once Elina seeks revenge on her attackers, which is conducted in the most painful way possible. But unlike some of the over complicated executions which have become standard in the revenge genre, Elina delivers her punishment in a more grounded manor, taking a very personal approach in her actions. In a memorable moment of Sargad, which pays homage to I Spit on Your Grave (1978), the filmmakers create a very graphic execution that manages to surpass it. With the man who raped Elina’s sister now tied to the bed, she inflicts a punishment very befitting of the crime. The effects here are extremely realistic, which is likely to leave a lot of viewers squinting as Elina takes her revenge in hand. If there were any issues with the film, it would be some of the lighting during the night shots made it difficult to see at times. In addition, the execution of the fight scene between Oliver (Xander Turian) and one of the brothers felt like it lacked the natural impact it should have had. These, however, are only minor details which don’t take away from the overall enjoyment and execution of the film. Sargad takes an intelligent approach to revenge horror, which helps it to stand out as a unique entry in the genre — proving to be an is an impressive feature debut for script writer Sarah Giercksky and director Andres R. Ramos. There is enough here to keep the viewer engaged throughout, leaving you with a lot more to think about after the credits roll than just the violence. It would be great to see what these two talented filmmakers do in the future, as I feel there is a lot more great horror to come.